Northern Wisconsin is commonly known as the Northwoods. But with its thousands of lakes, myriad of wetlands, and miles upon miles of streams, it could just as easily be called the Northwaters. Emily and Randy will examine the critical linkages between streams, wetlands and lakes in the water-rich landscape of northern Wisconsin. And they will discuss how groundwater — the hidden water beneath our feet — impacts the surface features we see and enjoy each day. Randy and Emily will explain how healthy watersheds mean healthy waters; and how healthy waters mean healthy communities. Hot or cold, hard or soft, above ground or below, this is a great opportunity to learn about the waters of the Northwoods. Randall Hunt is a Research Hydrologist with the United States Geological Survey. He completed his MSc and PhD at the University of Wisconsin-Madison, where he currently holds a position of Adjunct Professor within the Department of Geoscience. His research focuses on investigating groundwater flow and its effects on natural resources including wetland, stream, lake, and ecological systems. 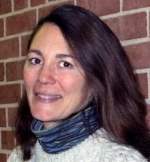 Emily Stanley, is a professor at UW Madison, Center for Limnology, Department of Zoology . Her research focuses on aquatic biogeochemistry and ecosystem ecology, with an emphasis on human and physical drivers of carbon, nitrogen, and phosphorus cycling and long-term change. Much of this work is done at the interface between ecology, geomorphology, and hydrology, and considers streams, lakes, and wetlands. Many people may not be aware how partnerships with businesses, schools and state and local governments have contributed to the excellence of UW-Madison. Indeed, these collaborations have fueled scientific discoveries and shaped teaching in classrooms on campus and around the world. Join Kate VandenBosch, Dean of UW-Madison's College of Agricultural & Life Sciences, as she examines UW-Madison's Partnerships in the Northwoods: Putting the "You" in UW. 2014 marks the 125th anniversary of the College of Agricultural & Life Sciences -- a fitting time to both reflect back and look ahead. Kate will share how the UW, through collaboration and innovation, is building Wisconsin's economy, advancing health, promoting environmental stewardship and enhancing our quality of life. Kate will explore some of the challenges and opportunities that lie ahead. During this conversation she wants to hear from you! What role is the university playing in your neck of the Northwoods? What are the needs and opportunities for the coming decades? Kate encourages you to share your thoughts and ideas about ways the university works in northern Wisconsin. Robin Shepard is well known for his historic brewery walks and presentations. He often shares his expertise on Wisconsin brewing history and knowledge of the state’s most iconic beverage. In 2012 he led a group on a 12-day educational tour through Germany, which included cultural and natural history; and, yes, a study of beer. In 2006 he received the WAA’s Award for Outstanding Outreach and Teaching for his informative and often entertaining look at the culture of beer. His book “Wisconsin‘s Best Breweries and Brewpubs: Searching for the Perfect Pint” was given the top book prize in 2001 by the North American Guild of Beer Writers. Last summer he published a historical review of Wisconsin’s post-prohibition brewing industry in the Journal of Brewery History.Join us to learn more about our popular liquid refreshment. Ron Eckstein is a wildlife biologist and worked for the DNR retiring in 2010. Ron continues to be a Endangered Resources volunteer with the WDNR working with bald eagles, ospreys and old growth forests. Ron has banded over 1300 nestling bald eagles, and erected over 150 osprey nest platforms. Join us on September 3rd to learn more about our Bald Eagle. Bald eagles have made a dramatic recovery in Wisconsin over the last 30 years. This recovery occurred because of good people applying good science. Ron will review the natural history of bald eagles and how they are adapted to their life at the top of the food chain. He will discuss how people caused their populations to decline, how people used science to determine the cause of the decline, and how people influenced the recovery of bald eagles. He will discuss the distribution and abundance of the local eagle population as well as how state and federal agencies protect and manage bald eagles. MAY 7, 2014 WILL THERE EVER BE ANOTHER EARTH? Maggie Turnbull discussed what it means to think about "habitable" planets orbiting other stars, the latest results in the search, and her own work with NASA in designing a new kind of observatory to detect Earth-like worlds. 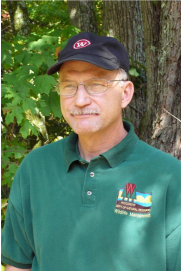 Phil will review Wisconsin tick species, their biology, and trends in their numbers. And he will discuss how ticks act as vectors for human diseases such as Lyme disease, anaplasmosis, ehrlichiosis and babesiosis. Most importantly, Phil will share steps you can take to reduce tick bites and prevent Lyme and other tick-borne diseases. Check out this Youtube video to learn more about Phil. Holly joined the Marshfield Clinic at Minocqua and Park Falls Center’s Pediatrics department in 2013, providing complete health care for children and adolescents in the Northwoods. Dr. Frost also works with the Marshfield Clinic Research Foundation conducting pediatric primary care and infectious disease research, which will benefit area children and their families. Anna Pidgeon is a professor in the department of wildlife ecology at the University of Wisconsin-Madison. Anna will share her latest research on emerging factors that may be impacting songbird numbers. The challenges are many, from changing climate and extreme weather events to fluctuating insect populations and declining habitats. Anna's research seeks to better understand the relationships between birds and their environment. It is through such understanding that we can better focus our conservation efforts. FEBRUARY 5, 2014 LIFESTYLE AND AGING: IS VITAMIN D THE FOUNTAIN OF YOUTH? Dr. Neil Binkley earned his medical degree from the University of Wisconsin Medical School. He spent several years in northern Wisconsin before returning to the University of Wisconsin to complete a geriatric fellowship. He is Board Certified in Internal Medicine & Geriatrics and is currently a Professor of Medicine at the University of Wisconsin-Madison School of Medicine and Co-Director of the Institute on Aging at UW-Madison. Dr. Binkley states, “At the UW-Madison Institute on Aging, we are jointly focused on addressing the problems of aging, which include diseases and impairments (e.g., osteoporosis, dementia, Parkinsons, glaucoma, mobility problems) and the challenges of later life (e.g., widowhood, retirement, caregiving, relocation) as well as the potential of aging. Our goal is to understand the many factors (biological, psychological, social) that promote resilience as people age and to translate this knowledge to innovative educational and community intervention programs. As such, we see the present as a time of unprecedented opportunity to change the fundamental meaning of "old age." Dr. Binkley’s research efforts focus on osteoporosis diagnosis, Vitamin D and nutrition in bone health. These issues speak to the young and old as we manage our aging bodies. “Wolves are fully state managed for the first time in decades, bear populations have grown and cougars are returning after a long hiatus. The decisions made over the next few years will lay the foundation for several decades of carnivore management”. David MacFarland is the carnivore staff specialist for the Wisconsin DNR Bureau of Wildlife Management and is responsible for the wolf management, bear management and cougar response programs. Dave believes the “Management of Wisconsin’s large carnivore is arguably more interesting now than ever”. Dave's areas of interest include wildlife population dynamics, population estimation and monitoring, management of harvested populations, and habitat selection. 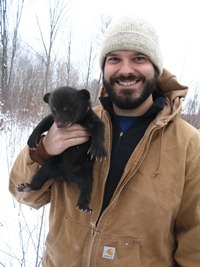 Dave's current research topics include black bear foraging ecology and population estimates, marten translocation into north central Wisconsin, population density and habitat use of bobcats, and the influence of policy change on illegal take of wolves.